On the Ranch this week, the renovation projects are starting to be finished up before the whitetail deer hunting season starts in a month. We have been updating rooms and building a new Proshop. On the outside, a wall has been put up to upgrade and ease some of the work involved with the mixing of the TMR feed mix. Kenny Mehrhoff Construction came in to do the work on the rooms and Proshop areas. 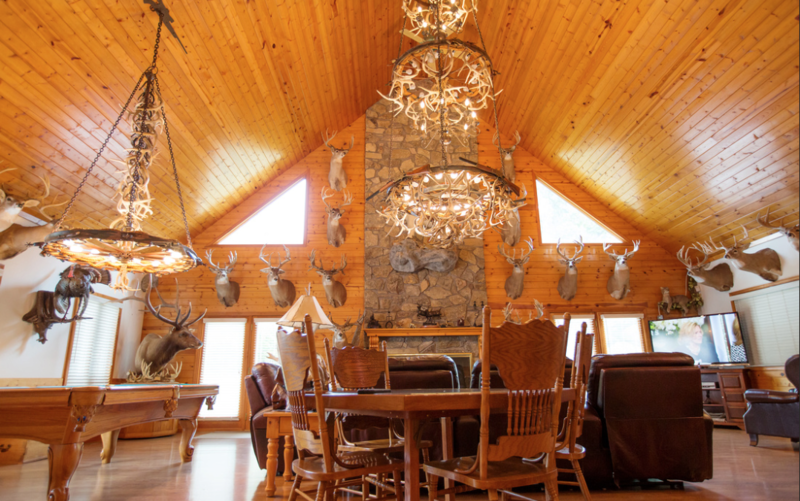 If you have been to Oak Creek Whitetail Ranch for a deer hunt, it was in rooms 5, 6 and 7. In the vlog from last week, you can see some of the improvements Kenny made and he tells a little bit of what it takes to produce high quality work. Next, on to the Great Room improvements. 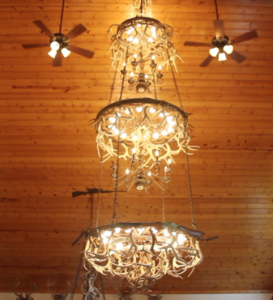 Nick and Shane changed all the bulbs in the chandelier and replaced the two fans on the ceiling. This was quite an undertaking as it takes three sections of scaffolding to reach the ceiling. Check it all out in the link below. The last major project of the summer was the retention wall for the fodder barn. James Custom Flatwork came in and built this for us. Cody James is a familiar face to those who have joined us at Oak Creek. 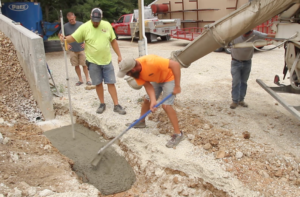 He guides in the fall and winter and does some of the best concrete work in the area during the summer. You can see Cody, James and the rest of the guys, put this wall up in the vlog. Donald looks on as Cody and James pour the footing for the new retention wall. On the Ranch, Episode 12, can be seen by clicking the link below. Let us know in the comments what you think about it. You can watch any of the previous episodes of On The Ranch by clicking on the link below. There is a subscribe button at the end of the video. 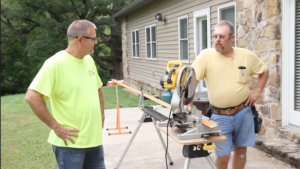 Click on this to get link in to the Oak Creek YouTube page so you never miss another video from the guys at Oak Creek. You can click the video playlist links at the bottom of the video, it will take you directly to that playlist. 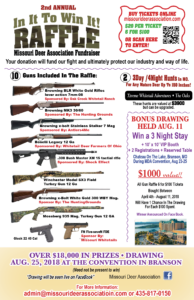 Last thing, the Missouri Deer Association is again having their amazing gun and hunt raffle. If you would like to buy tickets, ($20 each or 6/$100), click the link we have provided and get some. If you would like to know more about the ranch, give us a call or send us an email. We would love to hear from you and tell you about the ranch and what makes us the best whitetail hunting ranch in the country.